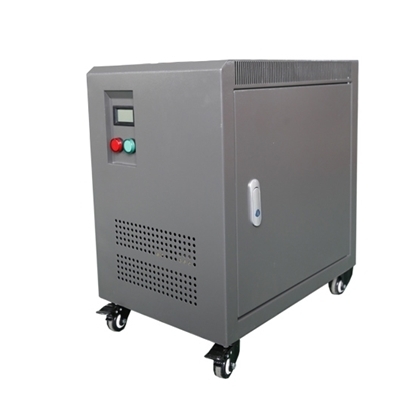 Single phase dry isolation transformer is 4 kVA power rating, applies to AC 50/ 60Hz, convert 220V primary voltage to 110V secondary voltage, it can be made open type or protected type. High quality isolation transformer with cheap price, making worthy to have it. High quality and safety single phase isolation transformer is 2 kVA capacity, 50/60 Hz rated, convert primary voltage 240V AC to secondary voltage 110V. The lower operating costs, lower heat emissions make it ideal for a wide range of applications. 3 kVA cheap isolation transformer from ATO is a single phase unit with a primary voltage of 208 volt, it also provides a secondary voltage of 240 volt. Dry type natural air self cooling, IP20 encapsulated enclosure for protection, make it ideal for a wide range of applications. The provided lower cost 5 kVA isolation transformer, single phase, is designed to use in alternating current (AC) 50Hz or 60 Hz, step down/ up the voltage 230V to 120V/ 120V to 230V, the IP20 protection grade enclosure makes the unit suitable for both indoor and outdoor applications. 3 phase 5 kVA isolation transformer is designed to step down/ up the voltage 480V to 400V, and widely used in various power supply sites with frequency 50Hz or 60Hz. Three phase 6 kVA isolation transformer is dry type air self cooling one, which is available in the circuit of AC 50Hz/ 60Hz and convert primary voltage 480V to secondary voltage 380V, long life span and high efficiency. Affordable 4 kVA dry type isolation transformer adopts high quality material and advanced technology, is designed to step up/down the AC single phase voltage between 220 volt and 110 volt that with frequency 50Hz/60Hz. Transformer can only convert voltage and CANNOT convert frequency. Transformer CANNOT convert single phase voltage to 3 phase voltage. Support voltage customization, various specifications customization. Internal faults of a single phase step up & step down isolation transformer include interphase short circuit, turn-to-turn short circuit of the winding and grounded short circuit of earth neutral system and winding grounding system. These faults are quite serious, because the high temperature arc generated by short-circuit current will not only burn the iron core of winding insulation box, but also makes the insulating material and isolation transformer oil to decompose, thus producing a large amount of gas, which might lead to local deformation and break of transformer oil tank, or even explosion hazard. 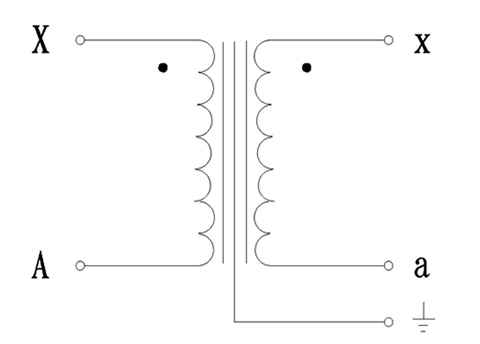 Therefore, when an internal fault occurs in the transformer, the transformer shall be removed quickly. External faults of a single phase isolation transformer mainly include the interphase short circuit and grounded short circuit occurring on the bushing shell and outgoing line of the transformer. In case of such a fault, the transformer should also be rapidly removed, so as to minimize the impact of short circuit current on the transformer. Need more detail of ATO isolation transformer? Here is a good explanation about it in this video. To test the accuracy of the transformer voltage, we take a 3000 VA single phase 220V iuput to 110V output isolation transformer as an example.